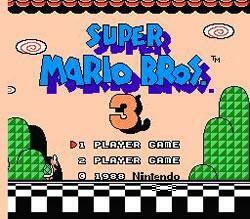 Super Mario Bros. 3 is the third installment in the, also, super-popular Mario franchise. It was the third and final Mario game on the NES. It was released in 1988 (in Japan), in 1990 (in the USA) and in 1991 (in Europe and Australia). After the huge and drastic changes in many core elements of the series that were seen in the previous game, this time Mario returned to his origins and the familiar setting, that is a trademark of the whole franchise. Similar patterns were seen in other popular gaming series like The Legend of Zelda and Castlevania where, also, the second game in the franchise changes almost the whole concept of its predecessor, and then the third game returns the series to its roots and improves almost everything from the original game. If it can be said that the first game set the standards for all the future titles to come, then it can be said that this game revolutionized the whole concept. It improved pretty much everything from the original game. The graphics are much better, the levels are much more diverse and unique, the soundtrack is better, there are even more secrets than in the first game (many of them are still waiting to be discovered), there is a huge number of power-ups (it was the game with the most power-ups in the franchise, until recently), there is a world map, mini games……….the list would be too long for this section. And Bowser also returns as the main antagonist of the game. Yay! This game is, perhaps, the closest possible achievement to something as unrealistically ideal as the “platform perfection”. By pushing the NES hardware to its limits, and by offering so many different and new elements, this game is the most popular game of all 3 that were released on the NES. It is often called – “the ultimate NES experience”. It is also one of the most revolutionary and innovative games ever, just the original Super Mario Bros. , and one can also add that it is one of the most important video games of all times. It influenced all the future releases in the franchise, in the same way as the original game. And even today many platform games, even those that don’t belong to the Mario franchise, are taking ideas from this gem. So, we can conclude that it is a platform game that ideally showcases how a great video game should be made. The Mushroom Kingdom has been a peaceful place thanks to the brave deeds of Mario and Luigi. The Mushroom Kingdom forms an entrance to the Mushroom World where all is not well. Bowser has sent his 7 children to make mischief as they please in the normally peaceful Mushroom World. They stole the royal magic wands from each country in the Mushroom World and used them to turn their kings into animals. Mario and Luigi must recover the royal magic wands from Bowser's 7 kids to return the kings to their true forms. 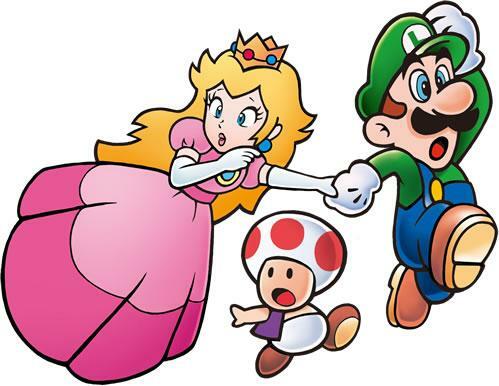 "Goodbye and good luck," said the Princess and Toad as Mario and Luigi set off on their journey deep into the Mushroom World. Above is a video showing the Super Mario Bros 3 background and plot, it's actually an official video based on The Adventures of Super Mario Bros. 3 cartoon but does bare a good deal of relevance to the game too as you might expect. As we said before, the gameplay of Super Mario Bros. 3 is identical to the gameplay of the original game. Identical but improved in almost every possible way. Once again, Mario’s basic moves are: moving left and right, jumping (Mario beats most of his enemies by stomping on them and/or their heads, just like in the original game), shooting fireballs (that are acquired after Mario gets the Fire Flower power-up) and running. Aside from the standard moves, thanks to the huge line-up of new power-ups, Mario can obtain additional abilities that were not seen in the previous games. One of the most popular ones is the ability to fly (you can get it by acquiring the Super Leaf power-up, as well as the popular Tanooki Suit). There are several other cool suits that you can use as well, and that will make your life much easier, like the Frog Suit, which allows you to control Mario much easier during the underwater sections, or the Hammer Suit, which gives Mario (and/or Luigi) the ability to throw hammers and use them as weapons (like the ones that Hammer Bros. are using). Some suits have their secondary use as well. 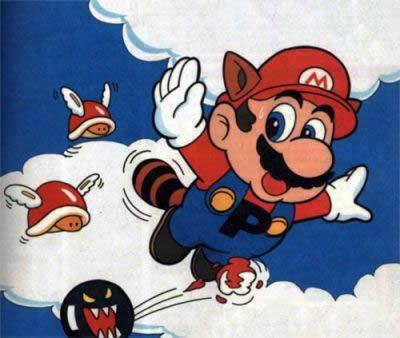 For example, the mentioned raccoon-like Tanooki Suit gives the player the ability to fly just like the Super Leaf power-up, but it also gives the ability of transformation into a statue (and while he is in this state, Mario cannot be harmed by any of the enemies or the other obstacles), and the Hammer Suit also has another function – Mario can create a shield in order to protect himself from the fireballs. It should be noted that there is also a scale that shows how fast Mario is running (P-meter). In order to actually fly with the Super Leaf power-up or with the Tanooki Suit, you must fill up the scale to its maximum, and after that you can fly for a certain period of time. More information about all the power-ups and the suits that can be found in the game can be seen in the “power-ups” section. The objective of the game is, once again, to reach the end of the level. Instead of the typical flagpole and a castle from the first game, as well as the Hawksmouth gate from the second this time, when the player reaches the end of the level, the colors of the background lose their standard patterns and the whole background becomes mainly black, with some white lines here and there. There is also a block that has a function of a slot from the lottery machine. It has an item in it and it changes very quickly. The level is beaten when Mario jumps into it, automatically grabbing the item that was shown at that point (a correct combination of 3 acquired items gives Mario additional stuff like extra lives, for example). There are also 8 worlds, just like in the first game, but there are much more levels and all of them are very diverse. Each world has a different theme as well. For example, the first world is called “Grass Land”, and it is placed in a grassy valley. The second world is called “Desert Hill” and, as the name implies, it is a huge desert setting, etc………..The last world is called “Dark Land” and it is very dark and unique. This is the world in which Bowser’s castle is located and this is where Mario and Luigi battle him in order to rescue Princess Peach. Along with the “normal” levels, each world has fortresses as well. They are smaller castles that are usually tougher to beat than the regular levels. Each of the fortresses is guarded by Bowser’s henchman called Boom Boom. In order to beat the level, Mario and Luigi must defeat Boom Boom, who is a standard mini-boss of the game. Also, aside from the regular levels and the fortresses, each world (except of the last one) has two types of mini-games as well. One of them involves finding pairs of identical cards on the screen and the objective of the other is to form the picture of an item, by pressing the button that stops the spinning reels, where 3 different item parts are located (Spade Panels). You can get extra lives and power-ups this way (see our cheats page for how to get the most from the N-Spade game). Also, there are various Toad Houses, where you can pick which of the 3 chests you are going to open. Each chest contains a power-up and, with a bit of luck, you may just find the right one in one of them. The game has an ability to save the power-ups that you collected, so you may use any of them before starting any of the game’s levels (you may use only one of those power-ups at a time, of course). And, of course, we must not forget the addition of the world map that lets you see the entire world and all of its sections. The world map will become a standard part of the franchise in the future games as well. Time limit is, once again, a part of the game. Mario (or Luigi) can die in the same ways like in the original game (either by being killed by his enemies or their attacks, falling down into the pit or into the lava, or when the time to beat the level drops to 0). Unlike the first game, this one has continues, although once you choose that option, you will be returned to the very beginning of the world, and to the first level of that world. The ability to save your progress is, sadly, not included. Instead of battling 7 fake Bowsers and 1 real one in the last level, as in the original game, this time the first 7 worlds of the game are guarded by the 7 Koopalings (Bowser’s children that serve as bosses of their worlds. Their names are: Larry Koopa, Morton Koopa Jr., Wendy O. Koopa, Iggy Koopa, Roy Koopa, Lemmy Koopa and Ludwig von Koopa). The 8th world is guarded by Bowser himself. 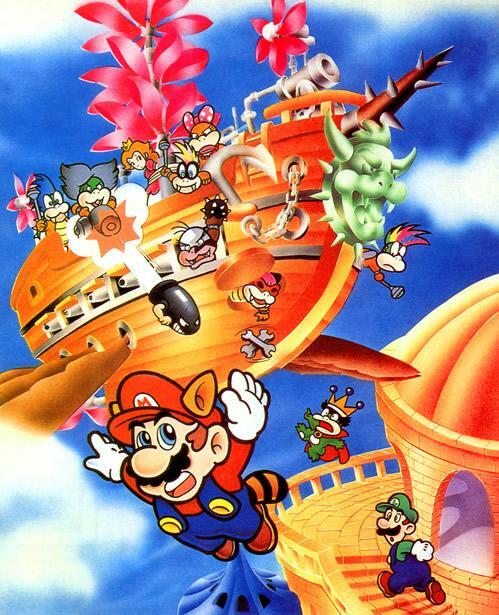 The first 7 bosses (the Koopalings) are battled on a flying airship, while the final fight with Bowser takes place in his castle. There are also mini-bosses and, in all cases, that is Boom Boom, the henchmen of Bowser, as it was previously mentioned (he is found at the end of each fortress). Once Mario and Luigi beat the Koopalings, they restore the rulers of their respective worlds to their normal form, and once they beat Bowser in his castle, they rescue Princess Peach. And, of course, she has one very familiar reference for them (“Thank you. But our Princess is in another castle! ...Just kidding!”). The game also has a multiplayer mode. The first player controls Mario and the second one controls Luigi, just like it is the case with the original game. Though, this time there is one important addition. There is actually a “Battle Mode” added-on. A typical example of this is a mini-game that is, practically, an exact copy of Mario Bros. game (the popular arcade classic). In this mini-game, players can steal cards from their partner, but they can also lose their turn to play if they lose the mini-game. Other than that, the concept is the same as in the original game. The first player controls Mario until he loses a life. After that, the game switches to the second player who controls Luigi, and vice-versa. Up/down/left/right – Move around the world map. These are the power-ups from SMB3; each had its own unique value and was useful in certain situations. Many of the powerup's below had never been seen before in the Mario series prior to this title. Fire Flower - The staple Fire Flower powerup remains in this title, turning Fire Mario a fiery blend of red and orange, just to show his serious about toasting his foes. Hammer Suit - Traditionally Hammer Bro's have gotten away with murder, hurling hammers at us aggressively wherever we go and we've simply had to accept it - well this suit gave them a taste of their own medicine... enabling the player to throw hammers right back at em! Kuribo's Shoe - Kuribo is the Japanese word for Goomba, so effectively this item is a Goomba boot, which kinda makes sense because you have to beat up a Goomba to get one. Although this power up is only available in one level in the whole game (5-3) it became iconic and was extremely memorable to people who played it at the time. Kuribo's Shoe enabled you to jump on any surface, any enemy without being harmed. Tanooki Suit - If pointy ears and a bushy tail wasn't enough for you then wait til a little further into the game and you can get the full on Tanooki Suit cladding Mario in soft fur from head to toe... not only does this cool little suit enable flight, but you can also change into a statue! Statue form - This is an added bonus of the Tanooki Suit over the Super Leaf.... you can turn into a statue and your foes won't recognise you... they'll simply walk past. You cannot be harmed in Statue form... but beware, because you CAN be harmed when it wears off, its effects are only temporary. As it was previously mentioned, unlike in the original game, in this one each and every world is different and unique. Each one also has a different theme attached to it, so we can safely say that every world in this game is a different and new experience. Below you can find all the information about all the worlds in the game, their characteristics, most common enemies…..as well as their guardians (bosses). So, here we go…. This is the first world in the game. It is very similar to the overworld sections of the previous two games. The dominant aspect is, as the name implies, grass, but the landscape consists of plains, hills and cliffs as well. This world has 6 levels (beating 4 is enough to access the king’s castle, though), a fortress that is guarded by Boom Boom (it is positioned exactly in the middle of this world), as well as 1 Spade Panel and 2 Toad Houses. The most regular enemies that Mario encounters in Grass Land are: Goombas, Koopa Troopas and Piranha Plants. 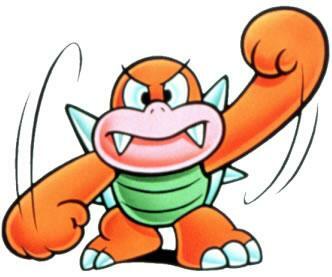 The boss of this world is the first son of Bowser - Larry Koopa. He stole the wand of Grass Land king and turned him into a dog (or a Cobrat from the previous game, in the remake of this one). 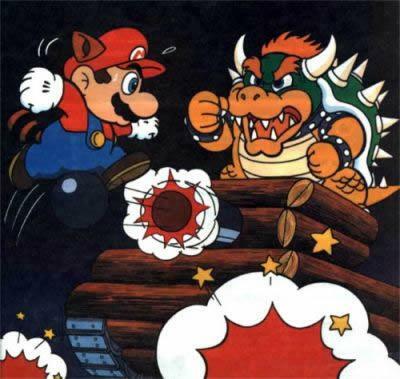 It is Mario’s task to restore the wand and turn back the king into his original form, by defeating Larry Koopa in his flying airship. After the green and shiny environment, we are now switching to a desert setting - where sand, palm trees and pyramids are the dominant parts of the landscape. 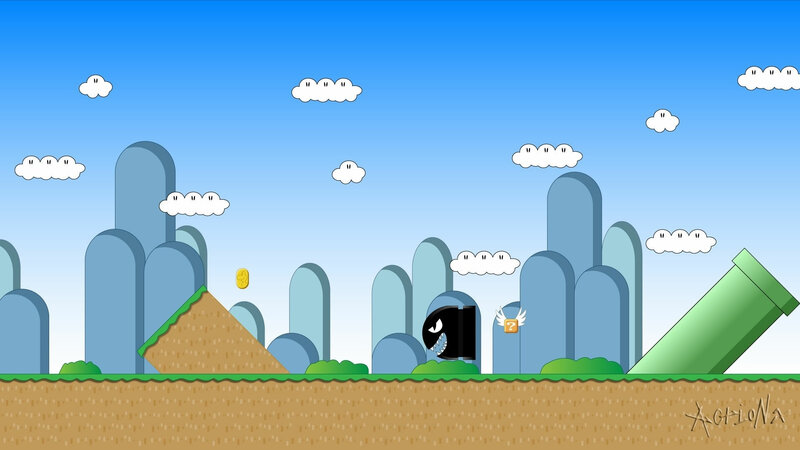 There are 5 levels in this world (4 levels are enough to be beaten to reach the king’s castle, but the player must also pass through the great pyramid, in order to do so), 2 Spade Panels, 3 Toad Houses, as well as a quicksand field. One of the Toad Houses lies in a secret area behind a rock, and you need to use the hammer to crush it. It hides two Fire Bros. that are holding the last Warp Whistle. The enemies you will encounter in this world are: Fire Snakes, Buzzy Beatles and even an Angry Sun that chases you through the level. 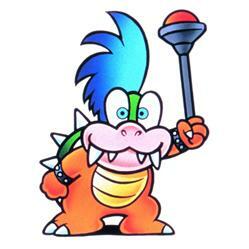 The boss of this world is Morton Koopa Jr. The ruler of the Desert Hills was turned into a spider (or a Hoopster, from the previous game, in the remake of this title), and Mario must reverse him back, restore the stolen wand and defeat Morton Koopa Jr..
Are you thirsty from spending so much time in the desert? Well, thanks to the next world in the game, you will have no cravings of this nature anymore! As the name implies, Ocean Side is a world filled with water. It is the central and most dominant element of this region. There are 9 levels in this section. Some take place almost completely under the water, and some of them take place on the solid ground, but with water located beneath (the platforms are usually moving up and down here, so you better stay away from the water in this case. There are also bridges that are placed above the water, just like in the original game). There are 2 fortresses as well, of which one of them has some chambers filled with water, and there are also several Toad Huts and Spade Panels as well. They can only be reached by boat that is unlocked when you use a hammer on a rock in the south. Also, the king’s palace is located on an isolated and remote island, and the only way to access it is through the elevator-pipe. Along the way, you will encounter enemies like Cheep Cheeps and Bloopers, who are reappearing again, as well as Big Berthas (who are debuting in this game). There is also another, rarer form of Boo in this world, and it is called Stretch. Ocean Side is taken over by Wendy O. Koopa. She turned the ruler of this region into a Kappa (or a Dino-Rhino from Super Mario World in the remake) and stole his wand. 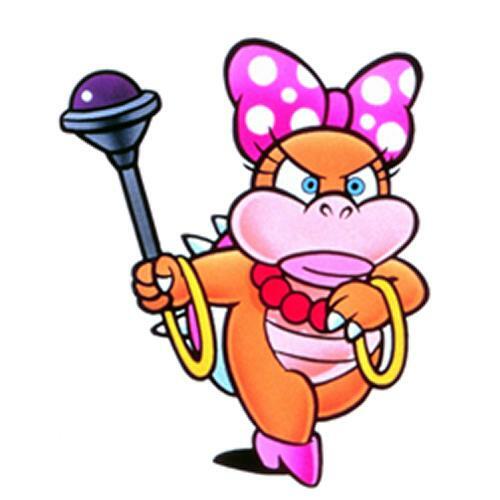 In order to save Ocean Side, Mario must, obviously, battle Wendy O. Koopa in her flying airship and restore the stolen wand. As soon as you enter the first level of this world, you will notice a huge change. Everything is much bigger than you! The Enemies, the blocks……..almost everything. This is a very similar setting to the first world of this game (Grass Land), but a vast majority of its elements are in a gigantic form (hence the name: Big Island). This world is filled with 6 levels, 2 fortresses, 2 Spade Panels and 4 Toad Houses. It should be added that, even though there are 6 levels in total here, only 5 are enough to reach the king’s castle. The enemies that appear in this region are the enlarged versions of the typical and regular enemies (like Goombas, Koopa Troopas, Koopa Paratroopas, etc…..). Just like in the previous cases, the king was thrown down and turned into an orange dinosaur (or Donkey Kong Jr. himself in the remake of the game), and his wand was stolen. The one who is responsible for this is yet another descendant of the main antagonist of the whole franchise (Bowser) - Iggy Koopa. In order to bring back the piece to the Big Island, as well as to reverse the king to his natural form, Mario must go to Iggy Koopa’s airship and defeat him there. Quite a simple name, isn’t it? Even though this world has such name, levels are not placed in the air, exclusively. Rather than that, the player starts his journey on the ground and later, once you reach the spiraling tower, it takes you up into the sky, and that is where the second half of this world’s journey takes place. In this world there are 9 levels, 3 Spade Panels, 3 Toad Houses and 2 fortresses, in total. The castle is located on the southwest part of the sky. As for the enemies, the ones that deserve the most attention are the Parabeetles. They are similar to the regular Buzzy Beetles, but they have wings and a different color too. 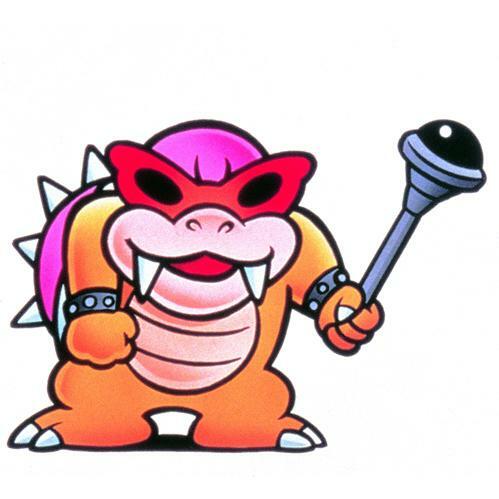 The boss of this world is Roy Koopa, who captured The Sky world, and turned the king into a condor (or Albatross in the remake), stealing his wand as well. The basic concept is the same, so the only way to restore peace to this world is to beat Roy Koopa in his airship and restore the wand that also enables the king to transform back into his original form. It is time to wear something really hot, because the next world is freezing and cold! Snow, ice, white color……….all those elements are the basic contents of this world’s landscape. Obviously, since the platforms are filled with snow and ice, it makes the movement much tougher and it is very easy to slip off and fall down. Along the way you will encounter some ice blocks as well, and they can only be melted by using the fireballs (from the Fire Flower power-up). Ice blocks usually contain various items (such as coins), but they may contain some enemies as well. This world has 10 levels, 2 Toad Houses, 3 Spade Panels and 3 fortresses. This was a quiet and peaceful place until Lemmy Koopa showed up. As soon as he turned the old king into a fur seal (or Monty Mole in the remake of the game), he started ruling this beautiful (yet chilling) wonderland. It is up to our hero to go all the way to his airship and end his reign. Just like the name implies, this is a series of platforming sections that are connected by various pipes. This is also the world where the game’s already high creativity reached completely new heights! This region has 9 levels, 2 fortresses, 2 Nippler Plant levels (short sections that are overloaded with these creatures), 3 Spade Panels and 3 Toad Houses. In this region, you will yet again meet with your old underwater “friends” – Cheep Cheeps, Big Berthas, and you will meet some Blooper Nannies too. 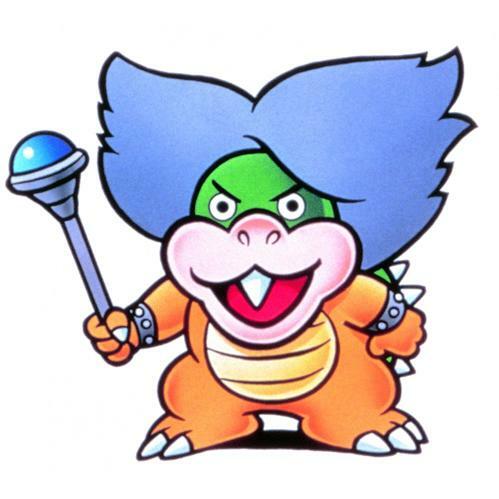 This unique world was taken over by none other than the prince himself – Ludwig Von Koopa. His ruler-ship started as soon as he turned the king into a goldenrod Venus Fire Trap (or Yoshi in the game’s remake). If he wants to reach Bowser’s land, Mario must save the Pipe Maze from the terror of Ludwig Von Koopa, in the same way like he did before. This is it – the last world. This region is completely dark and soulless, unlike any of the previous worlds. It is also quite mystic. If the previous world has improved the overall inventivity of the whole game by a huge margin, this one blasted it into the orbit! Many of the levels in this domain take place on the sections that are covered with tank brigades, that are approaching from left to right, and that are filled with cannons and various enemies with only one goal – to prevent Mario and Luigi from reaching Bowser’s castle. There are also the infamous Hand Traps that are found in the second area of the game. They unexpectedly grab Mario (and Luigi), taking him to a short level that contains a chest with the Super Leaf power-up at the end of it. Aside from these things, this world has 2 normal levels and 1 fortress. At the end of this world we can see Bowser’s castle, and that is where the final battle with him takes place. If he wants to save the princess, Mario (or Luigi) must find a way to stop Bowser yet again. The only way to access this world is by using the Warp Whistle. In this section, you can literally skip worlds, and enter any world you want. However, the selection varies depending on the world in which you have used the Warp Whistle. If you use it in this world, it will automatically lead you to world 8 (Dark Land). It must be noted, though, that you can’t return to the world from which you have accessed the Warp Zone. This is an e-Reader based world that is only available in Super Mario Advance 4: Super Mario Bros. 3. It can be accessed at the very beginning of the game. Players can basically use 2 different Game Boy Advance consoles or, in fact – one can use the console and the other can use the e-Reader to scan the level cards, demo cards, as well as the power-up cards. A full Atlas of all the worlds and levels in Super Mario Bros. 3 for the NES by Atlas Videos. Here they are, the main bad guys from SMB3. The first one you'll encounter will be Boom Boom who inhabits fortresses throughout the lands. You'll then fight a Koopa Kid at the end of each world, taking back the magic wands and restoring the ruler of each land to their human form before you finally take on Bowser in Dark Land. The development of this game took more than two years, overall. 10 people from Nintendo Entertainment Analysis and Development were working on it and Shigeru Miyamoto was, once again, the boss of the whole project. Just like it was the case with the original game, he was closely connected to the whole project and, during the entire time of the production, he was constantly promoting a free interchange of ideas. He thought that his new game should be as fresh and innovative as the first Mario game was, so that was the main thing that the entire team was focused on. The first idea was to make the game appealing to people of different playing habits and to people of varying skill levels. So, at the same time, the game should be easy enough so that anyone can pick it up and start playing it, but also – the more the player progresses, the tougher it gets. To make things as fresh and exciting as possible, many new items and power-ups were introduced. Some of them were truly extraordinary, especially for the time when they originally appeared. 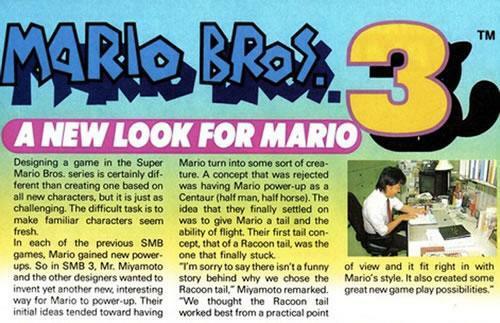 It is interesting to mention that there was even an idea to have a power-up that would turn Mario into a centaur, but it was quickly dropped, and a raccoon-tail concept was implemented instead. 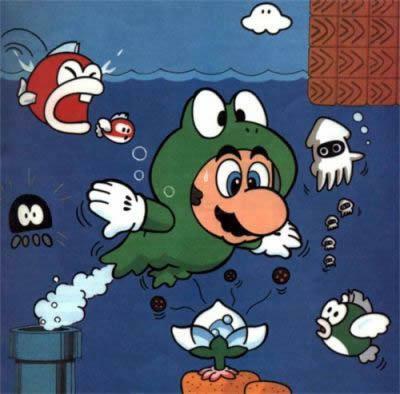 Many new enemies were also introduced to add even more elements to the game’s diversity, and some regular ones were re-designed and reintroduced as such (like the Goombas and the Piranha Plants). These new redesigns became the standard appearances in the future titles as well. An extra from Nintendo Power Magazine about Super Mario Bros. 3 and its design. It is interesting to note that some designs were actually inspired by the personal experiences of the whole team. For example, the idea for the Chain Chomp enemy came from Miyamoto’s personal (bad) experience with a dog. 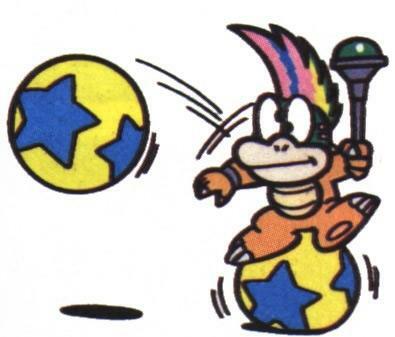 Also, Bowser’s children (the Koopalings) were based on personalities of 7 of his programmers, and this was basically a tribute for all the hard work they have given in order to complete the game. They also got their names after some very famous people including musicians (for example: Ludwig Von Koopa is named after the famous Ludwig Von Beethoven, while Roy Koopa was named after……….yes, you guessed it correctly – Roy Orbison himself!). One thing that really stands out in this release is the visual aspect. It was stunning at the time. A special graphics machine (Character Generator Computer Aided Design) was used to render it. Each shape had a different number attached to it (those numbers were a part of the game’s code), and all of them combined together produced the images on the screen, in real time. The cartridge of this game uses Nintendo’s custom MMC3 (memory management controller) ASIC, in order to enhance the NES limitations. This allows the animated tiles, extra RAM for diagonal scrolling, as well as a scanline timer (to split the screen). The game uses the mentioned functions to split the screen into two parts – a playfield that is located at the top and a status bar on the bottom. This allows the top portion to scroll as the player goes through the stage, keeping the bottom part untouched (with all the information displayed on it). There was a lack of ROM chips in 1988, and Nintendo of America had problems to perform various North American game releases, according to their original schedules. Games that were delayed because of this problem were, among others, Super Mario Bros. 3. and Zelda II: The Adventure of Link . However, this offered new opportunities, and SMB 3 was actually promoted in a movie called “The Wizard”, prior to its release. It was, so far, the only game that was promoted this way in the entire history of video games. More information about the actual connection of “The Wizard” and Super Mario Bros. 3 can be found in the next section already. As it was already mentioned, in 1988 Nintendo of America struggled to release their games according to their original schedules. One of the games that was delayed because of this was also the game we are talking about here (Super Mario Bros. 3). This presented a new opportunity that Nintendo didn’t want to miss – they made an agreement with Tom Pollack of Universal Studios, who approached them about a video game movie called “The Wizard”. He wanted to include some of their most popular titles in it. And so, the agreement was made, and Nintendo gave a license for its products to be used in the movie. One of the games that appeared in this film is Super Mario Bros. 3. It was basically shown to the audience before it was actually released, and it was used in the final scene, that involved a video game competition. The movie was released in December 1999, between the release of the Japanese and the English version of the game. 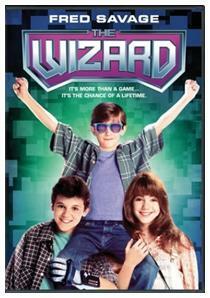 Regardless of poor ratings in general, “The Wizard” will always have a special place in the history of video games. Not only did it popularize some of Nintendo’s biggest releases, it was also used to promote one of the greatest video games ever made and that is, of course, Super Mario Bros. 3. That is why this film is so important both for the Mario franchise and for video games, in general. 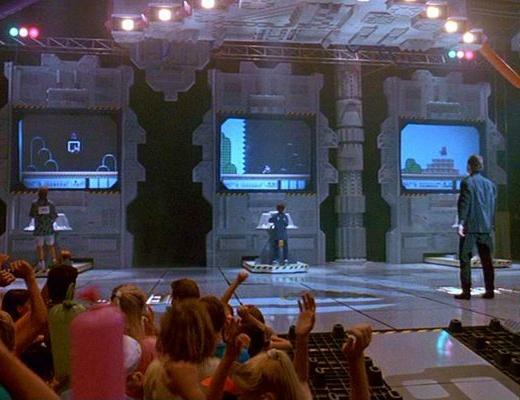 Super Mario Bros. 3 makes its appearance on the big screen in The Wizard movie back in 1989. Just like it happens with other popular games, this game got its own remake as well. 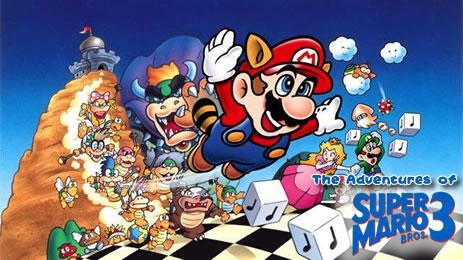 The game was first revamped and included as a part of Super Mario All-Stars cartridge. It was an upgraded version of the game in terms of sound and the graphics that were adapted exclusively for the SNES. There were some minor changes in the re-release as well (Super Mario All-Stars + Super Mario World), as well as in the port to the Wii (Super Mario All-Stars Limited Edition). One of the biggest improvements in the All-Stars version of the game was the ability to save your progress (the lack of this function was often criticized in many reviews that were written for the original release). There is also a Battle Game Feature that functions in a different way than the ones featured from the maps in the 2 player co-op mode. Many glitches were also corrected, but the core gameplay remained untouched. This game was also ported to the GameBoy Advance as the fourth (and the last) installment in the Super Mario Advance subseries (it was released as Super Mario Advance 4: Super Mario Bros. 3). It had the same sounds and the graphics like the All-Stars version + it had the option of using the e-Reader. Its function was to unlock new items and levels, including the content from the other classic Mario platform games (by scanning the appropriate cards). A retro TV commercial advertising Super Mario Bros. 3 toys at McDonalds! ">Super Mario Bros. 3 challenges in NES Remix 2! The game got fantastic reactions when it was released and was greatly accepted by the entire gaming community. Many people were stating that this is the best NES game ever made and one of the best video games ever made as well. It holds this status today as well. Computer and Video Games magazine rated it as 98/100, praising the gameplay, the visuals, the sound and the replay value as well. One of its editors also stated that the game is almost flawless, while the other one stated that it is the best video game of all times. He also called it “the Mona Lisa of gaming”, while also adding that it is “astoundingly brilliant in every way, shape and form”. Another editor said that this game “makes Sonic the Hedgehog look like a wet Sunday morning and even gives the (Super) Famicom's Mario 4 a run for its money” . The Mean Machines’ Julian Rignall referred to this title as “the finest video game” that he played in his entire life, praising its depth, addictiveness and the overall challenge. A second reviewer of Mean Machines (Matt Regan) predicted that the game would the best selling title in the United Kingdom, and also added that it is a truly brilliant game. He also said that the game tested both the brain and the reflexes and that even though the graphics were simple, they were very varied and unique. In a preview of Super Mario Bros. 3 Nintendo Power gave it very high marks in the following categories: graphics, audio, gameplay, challenge and enjoyability. This game has received universal acclaim from many modern critics, who all considered this game to be one of the best games of all time as well. Edge Magazine thought that this was the standout title in 1989 and also said that it managed to outshine the original game in terms of sales milestone (the first game sold 40 million copies, but it was also packaged with each NES console). They praised the addition of the world map and they stated that it was a great innovation that looks much better than the typical screen where you can select which level you want to play. Skyler Miller of Allgame gave a lot of compliments regarding the game’s graphics, sound, level design, as well as the introduction of non-linear gameplay. Dengeki stated that this game is a very popular title and also shared the excitement over its rerelease on the Game Boy Advance system. The hidden items in this game (such as the Warp Whistles) were very well received. Rignall added that they are playing an important role in the overall addictiveness of the game. Both GamesRadar and Screw Attack ranked it as the best NES game of all times. GamesRadar stated that the original game defined the sidescrolling platform genre, and this one perfected it. Some of the elements got negative critics too, but all of them were very minor. One of the criticisms was that the game lacked the ability to save the player’s progress as, this way, it must be beaten in one sitting. Considering the fact how long the game actually is (especially for its time) + a ton of secrets and hidden areas to explore……it just consumes too much free time. Rignall also stated that the sound effects were outdated, especially when they are compared to the games available on the SEGA Genesis and the SNES (Super Nintendo Entertainment System) consoles. Some critics were also focused on the game being too difficult at times. This game was a huge commercial success and it became one of the best-selling video games ever. Its official preview in The Wizard movie received a lot of anticipation in the United States before the game’s release. One of the editors from IGN stated that this was a show-stealing element, and he also disregarded the film by calling it “a commercial for the game”. By 1993, the game had sold 4 million units in Japan and 7 million units in the United States and, in the US alone, it generated over US$ 500 million in revenue for Nintendo. Author David Sheff said that this game went platinum 11 times. In 2008, Guinness Book of World Records listed this title as the best-selling game that was sold separately from the main system (on which it was released), and it also reported worldwide sales of over 18 million copies (including the remakes). In October 2009, Game Informer reported that the Virtual Console version had sold 1 million copies. As of 2011, this game remains the highest-grossing non-bundled game to date, having grossed $1.7 billion (adjusted for inflation). 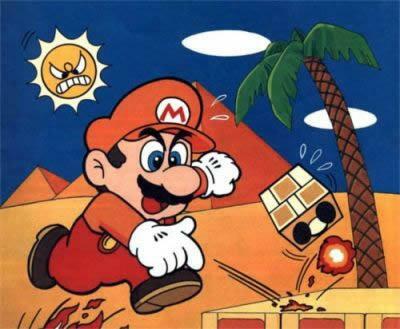 Just like the original game introduced many elements that became the standard parts of the future Mario games, this game brought some new innovations that were standardized in the same way, as well. The world map was introduced in this game and, since then, it is a common part of many of the future releases (like Super Mario World and New Super Mario Bros.). Also, this was the first game where Mario could actually fly, after granting this ability by getting the Super Leaf power-up or the Tanooki Suit and, since then, this feature was also seen in games like Super Mario World, Super Mario 64 and Super Mario Galaxy. The Super Leaf item has made its reappearance in the 3DS exclusives – Mario Kart 7, New Super Mario Bros. 2 and Super Mario 3D Land. 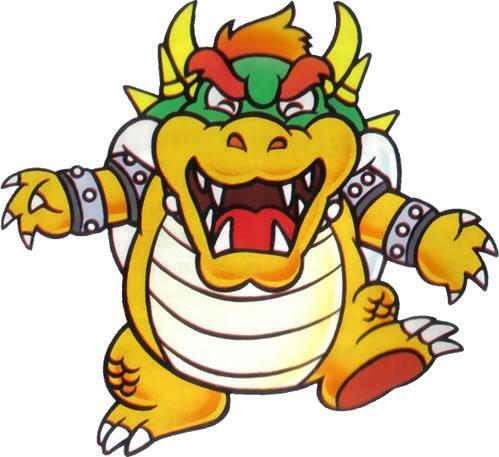 This was also the first game where Bowser was portrayed with a red hair and, since then, it is a standard part of his appearance. The release of this game has also led to a creation of an animated television series called “The Adventures of Super Mario Bros. 3”. It was made by DIC Entertainment, through collaboration between Nintendo of America and NBC. The show was broadcasted on a weekly basis and it featured numerous elements from the game (such as: the enemies, the environments, the characters, etc…..). 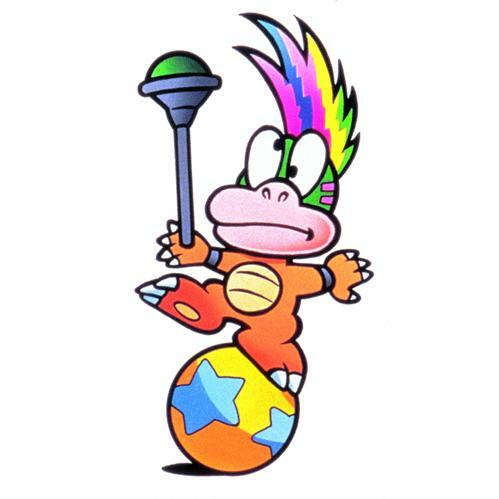 The Koopalings were also present in the game, but they had different names that were based on their personalities. They also had a different age order. Other Nintendo products that were directly inspired by this game were also released. The music from the game has appeared on Nintendo Sound Selection Koopa (a compilation of songs from various Nintendo games). The stages and the graphics from this game were also seen in the 2006 Nintendo DS release Tetris DS (they are seen in the background). 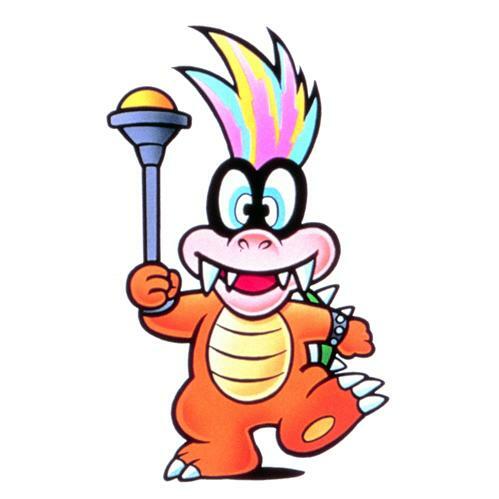 The Koopalings have also appeared as bosses in Super Mario World, Mario is Missing!, Yoshi’s Safari, Hotel Mario and all New Super Mario Bros. games, except the first one (New Super Mario Bros.). A standard mini-boss of this game( Boom Boom) reappears in Super Mario 3D Land and Super Mario 3D World, along with his female counterpart – Pom Pom. This game appeared on many top video games lists. It debuted on Nintendo Power’s Top 30 best games ever list at the spot #20 (in September 1989). And later, it managed to get into their Top 10, and even take the very first spot in May 1990. It also managed to stay within the first 20 games on their list for more than 5 years, in total. More than 10 years after its original release, the game took the 6th spot on their list of 200 Greatest Nintendo Games. In 2008, Nintendo Power listed the game as the second best NES game of all times, praising it for making the series more complex, and for taking it to a whole new level. They also praised the introduction of various new abilities that have since become standard parts of the franchise. In 2007, ScrewAttack called this game the best Mario game ever made, as well as the best NES game of all times. They went so far with the praising of this game, that they had a message for people who still didn’t play it, and it was – “If you haven’t experienced this greatness, we pity you……and your children”. In a poll that was conducted by Degeneki, the game was tied with Super Mario World as the 3rd game that their readers first played. The game was also ranked on several different IGN lists in 2005 as well. It was rated as 23rd best game on their Top 100 Video Games List. They praised many aspects of the game, but the “spot-on” controls got the best reviews. IGN editors from the United Kingdom, United States and Australia ranked this game as 39th best game in their 2007 Top 100 games, praising the innovative concept of whole game. 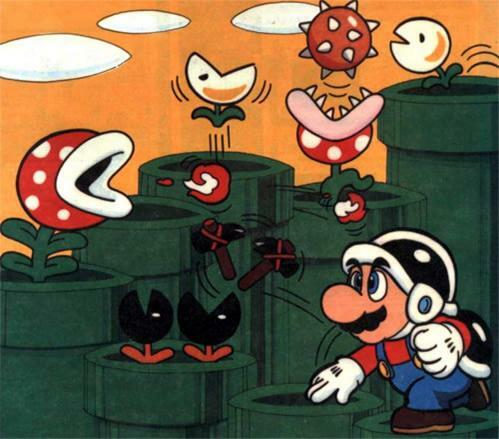 They also added that the game vastly improved the already extraordinary concept (that was originally set by Super Mario Bros.), by adding new enemies, new power-ups and more complex structures of the levels, in general. Users and readers of the website had similar opinions – they ranked it as 32nd best game in 2005 and 21st best game in 2006, respectively. In 2007, this game was included in the “game canon” (a list of 10 best video games that were supposed to be considered for preservation by the Library of Congress). In 2009, Game Informer placed the game at the spot #9 on their list of “The Top 200 Games of All Time”, implying that “it is a game with incredible lasting power that we won’t soon forget”. Edge ranked it as 20th best game on their list of “The 100 Best Games To Play Today”. They called it “the one 8-bit game that still shines today, no caveats required”. UGO listed it on their list of the “Top 50 Games That Belong On the 3DS”, stating that it is “arguably the greatest Mario game ever made”. ">Dangerous Dave in Copyright Infringement”. When John Romero (another developer from Softdisk. Nowadays, he is famous for creating the popular Doom franchise) saw what they are doing, he suggested that they should finish the PC port of the game, which was later taken by Nintendo, who didn’t want to sell PC copies of the game, because they wanted the game to remain as a console exclusive. In the meantime, the founder of Apogee Software Ltd. (Scott Miller) appreciated all the efforts made by ID Software team and stated that he would distribute any games that they make (this happened after Apogee stopped publishing their games). In the end, the first Mario-inspired, side-scrolling episode of Commander Keen was developed, and it was yet again made by using the Softdisk computers in the late evening hours. Soon after that, Softdisk made a proposal, stating that the team should form their own company, while they could still continue making games for them every 2 months, and that is how the popular video game company ID Software was formed (in 1991). Super Mario Bros. 2 – Princess Peach’s character design is, practically, imported from this game. Super Mario 64 DS – The Rec Room theme is a cover of of the Grass Land theme of this game. Mario Kart 8 – The Koopalings appear as playable characters for the first time. In order to activate this glitch, you must have the Super Leaf power-up or the Tanooki Suit. In the quicksand level, you must run and fill the P-meter to its maximum, or you can use the P-Wing power-up instead. You must touch the quicksand and jump as soon as you do so. If performed correctly, when flying up, you should notice that Mario looks like he is walking. This works in the original NES version and in the SNES remake. Near the end of world 3-3 there is a 2-by-2 assembly of coins. If you use the P-switch to turn them to bricks, and hit either of their lower sets, the upper two will behave like coins. In case you beat Bowser while he is in mid-air by using the hammer – he will fly upwards and never jump down. Since the time has stopped (assuming that he is defeated), there is no other way to get out of this situation but to reset the game. It should be noted that this glitch doesn’t work all the time. In order to perform this glitch you must have the Super Leaf power-up or the Tanooki Suit. You must wag your tail in, basically, the same moment when you grab the 1-Up mushroom. Since the two different sound effects will be in conflict, the game will be confused and, as a result, it will start playing the extra notes at the beginning of the 1-up theme. This glitch only works in the NES version of the game, and it was fixed in the remakes. As Tanooki Mario, make sure that you grab the Hammer Suit and press B at the same time, to turn into a statute. If performed correctly, you will get the Hammer Suit, but Mario will be gray from the top ‘till the bottom! Also, the same thing will happen to your Tanooki Suit if you press B at the same time when you go down the pipe. The first glitch is fixed in Super Mario Advance 4: Super Mario Bros. 3, and the second one stops working as soon as you leave the pipe. This is a very funny glitch to perform. Also it’s really easy to activate it. You just have to time it right, so that both the Buster Beetle and you grab the same ice block, and at the same time. As a result, both of you will be carrying an ice block. This works in the NES and the SNES version of the game. In World 3-9, you need to duck on the top of the white platform. When you do this for 5 seconds, Mario will become a part of the background. You must then access the nearby elevator-pipe and Mario will get out invisible on the other side. Mario is not seen at all anymore, but also, enemies can’t take any damage on him. Also, if you run into an enemy, you will see a blue silhouette of his character in the background. It is funny and interesting to mention that the game can’t operate two different items on screen, at the same time. So, in case there is 1 item on screen already, and if the second one appears at the same time, the first one will disappear. This happens both in the NES and the SNES version of the game. In the second fortress of the 5th world, you can jump on top of the pipe and up the solid blocks above, so that you get stacked up between that area and the right side of the screen. If you jump to the top you will crush Mario and automatically commit suicide. This glitch is fixed in the SNES remake. When Mario’s foot “bounces off” a wall or a pipe, he can immediately jump again and do a wall jump. 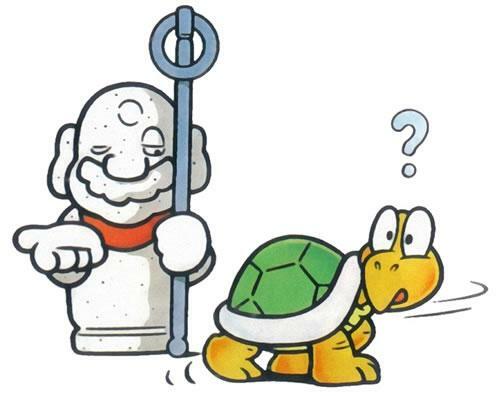 The Koopa Kids make their reappearances in Super Mario World, but the order in which Mario battles them is changed. Their first 3D appearance (along with Bowser Jr.) comes in New Super Mario Bros. Wii. They also appear as bosses in Mario & Luigi: Superstar Saga and that was the only time they were included in a Mario RPG game. Prior to its official release date in the U.S, Super Mario Bros. 3 was shown in a movie called The Wizard. This was the first time a videogame had been shown on the big screen prior to its release. Mario flies for the first time with the introduction of the Super Leaf. 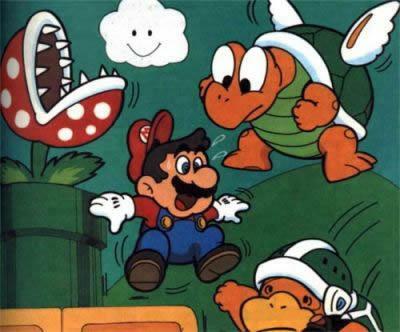 This game saw the introduction of the Koopa kids. The names of most of the Koopa Kids were inspired by various people who were popular/well known at the time that SMB 3 was being developed, see the below table for examples of this.